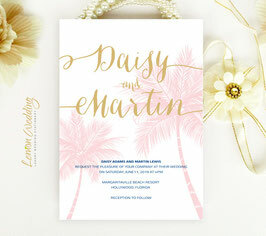 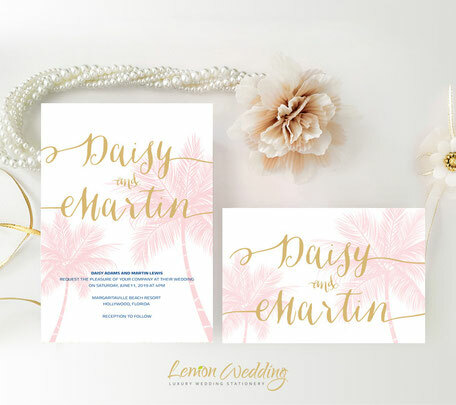 Tell your family and friends about your laid-back beach wedding with our Tropical Wedding Invitations. 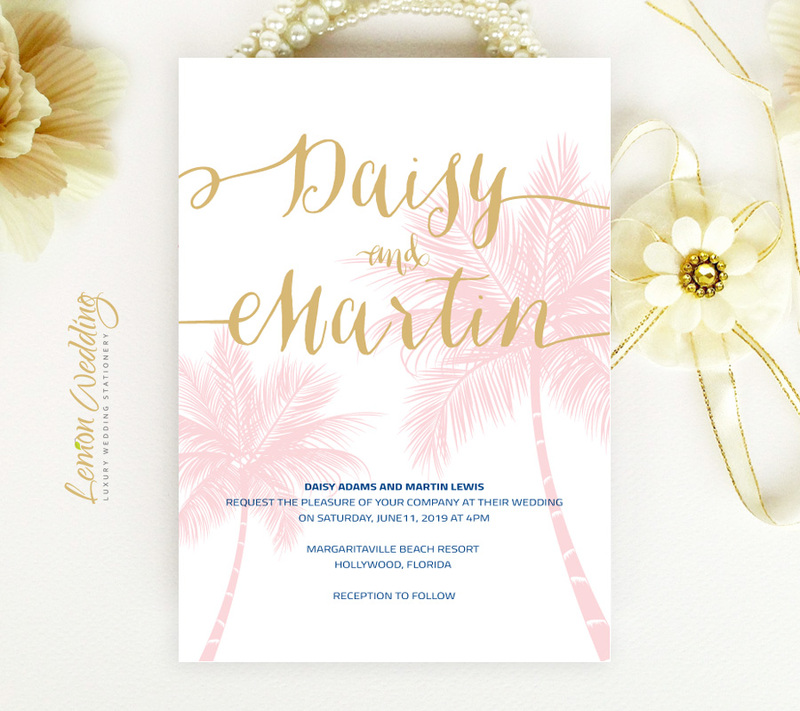 Ideal for a ceremony in front of the ocean, our invites will match the tropical tone of your upcoming nuptials in a stylish manner. 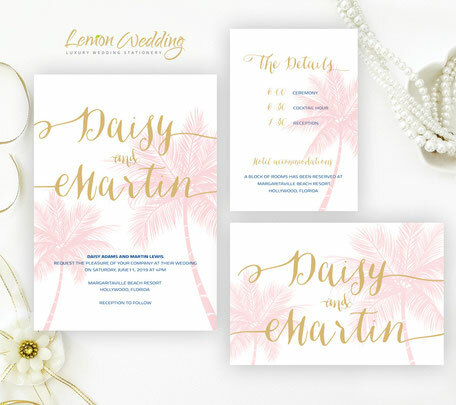 Printed on premium paper, our tropical wedding invitations display a beach scene complete with pink palm trees.